An earthquake of magnitude 6.0 on the Richter scale jolted many parts of Pakistan Monday afternoon. The MET department confirmed the epicentre of the quake to be near the Afghan-Tajikistan border just 276 kilometres north of Peshawar, and measuring at a depth of 200 kilometres. The vicinity of the epicentre was not populated and therefore no loss of lives were reported in the area. “An earthquake jolted different parts of Khyber Pakhtunkhwa with 6.0 magnitude with epicentre in Hindu Kush Mountains range, Afghanistan, having coordinates of 36.52 N and 71.30 E,” a spokesperson at the Pakistan Disaster Management Authority (PDMA) confirmed. PDMA are in close co-ordination with all district administrations. 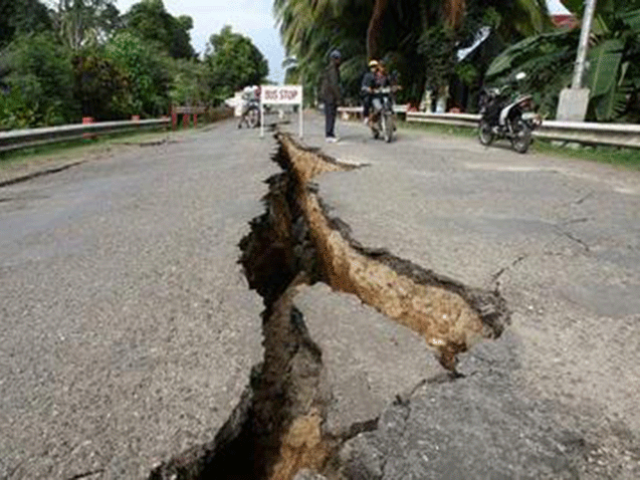 According to the United States Geological Survey however, the earthquake measured 5.7 at the epicentre. Tremors were felt in various parts of the country including Islamabad, Faisalabad, Mianwali, Peshawar, Sargodha and Lahore, and were felt for up to 30 seconds after the quake. The quake was also felt in the Gilgit-Baltistan region, Azad Jammu and Kashmir and the bordering regions of Afghanistan. Initial reports have not revealed any injuries thus far, however, the quake has spread panic among people and they rushed out of their homes. No loss of life or property has been reported. Did You Know? : Imran Khan Kurta Lands Friends Restaurant Discount!